Although we’re all dreaming of warmer weather, it seems most of the country is still stuck in the bitter cold—even the South, where I live. Right now I’d love to be hosting an event in the garden, but with temperatures below freezing we’d better stay inside. 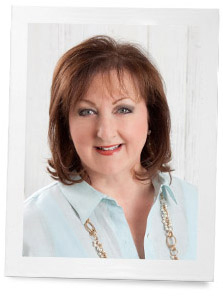 A friend and wonderful event decorator, Edna Ross, recently planned an event with the cold, wintry weather as inspiration, and it inspired me to take advantage of the season we’re in and celebrate it until springtime finally comes. For this event at the Dallas Woman’s Club, Edna once again designed over-the-top arrangements with a creative twist. The theme of the event was “Baby It’s Cold Outside,” even though Dallas has been lucky to still be having nice weather. 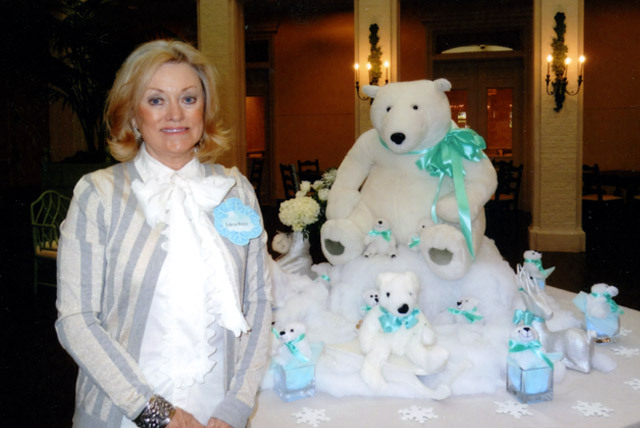 From the entrance to the club Edna set the winter mood with wooden reindeer she found at estate sales, and they looked fabulous standing on cotton “snow.” The entire dining room was filled with little polar bears and Tiffany-blue ribbon to continue the winter feel. The standout pieces, though, were the centerpieces that looked elaborate but were affordable and fun. 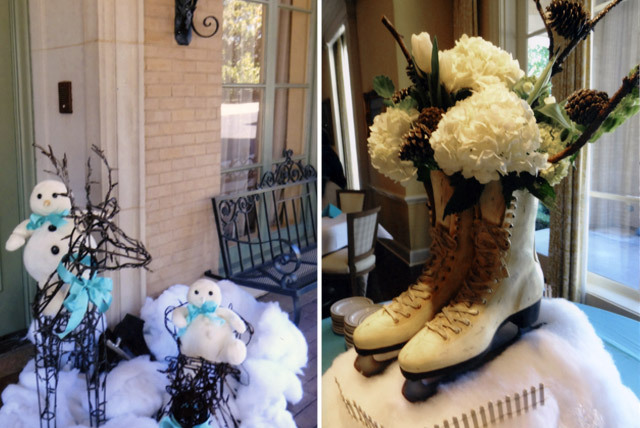 Edna picked up white ice skates at garage sales and estate sales for a great price, since their resale value is low in sunny Dallas, and she used them as vessels to hold the floral arrangements. Filled with affordable white flowers from the grocery store, pinecones, and some greenery, the centerpieces showed that with a little creativity you can create a showstopping display. 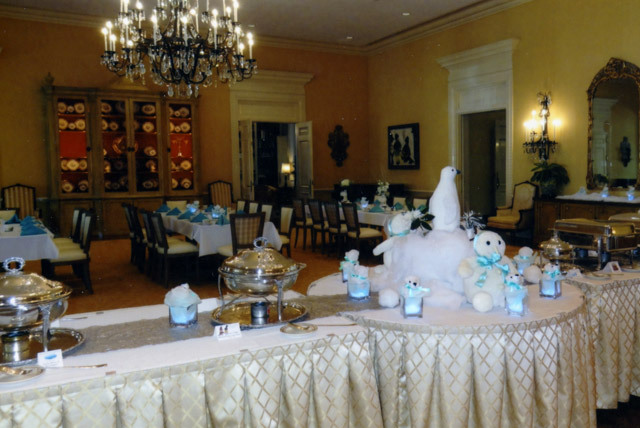 Since the decorations were all bought at estate sales and dollar stores, this fabulous luncheon cost virtually nothing yet still entertained 135 ladies beautifully on a chilly day in the South. 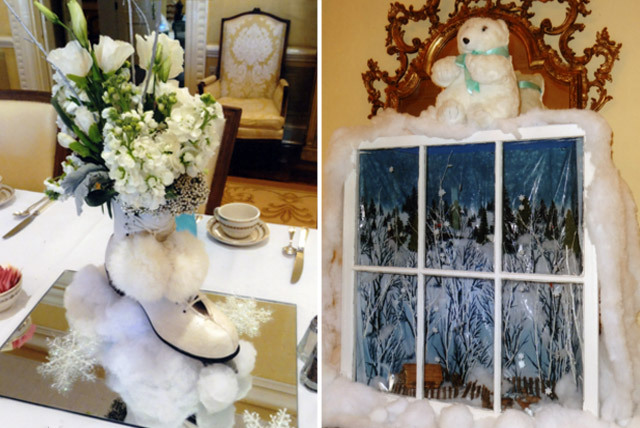 Edna turned the snowy cold into inspiration for a stunning event. How are you still celebrating this winter season? How clever! Delightful and definitely chases away the winter doldrums! I truly love the ice skate arrangement. So pretty! While South Carolina, for the most part, has escaped the snow it has still been frigid! I love the ideas. What an inspiration you always are. thank you so much! We live in warm climate now but are originally from the Midwest. Therefore, we always transition from the Christmas beauty to “winter”. From our winter tree, decked out with white netting to look like snow, to babies breath and snow birds, the house looks all white and “snowy”. The sleds, horse drawn sleighs, snowmen of every kind and skates hung on the coat rack all say winter fun is here. The neighbors get a kick out of the front door decoration which reads…”let it snow”. Once a Midwesterner always one. Happy “winter” from sunny California!! 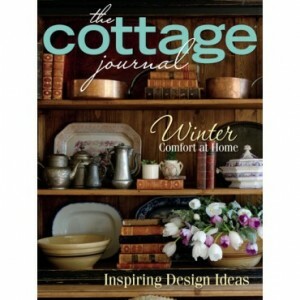 I always have a “winter” decor….especially appropriate this year…there has been a lot of snow up here in Toronto and the snow is gently falling as I am writing this. I use a white, blue and silver colour scheme in my pillows,blankets, table settings and centre pieces. Thank you for giving me some really unique ideas I can add to my own. These ideas have great possiblities for helping ease the transition from all the beautiful Christmas decorations that leave a room rather quiet & plain when they are taken down. What a great idea! I never thought of doing this, I get such inspiration from you.